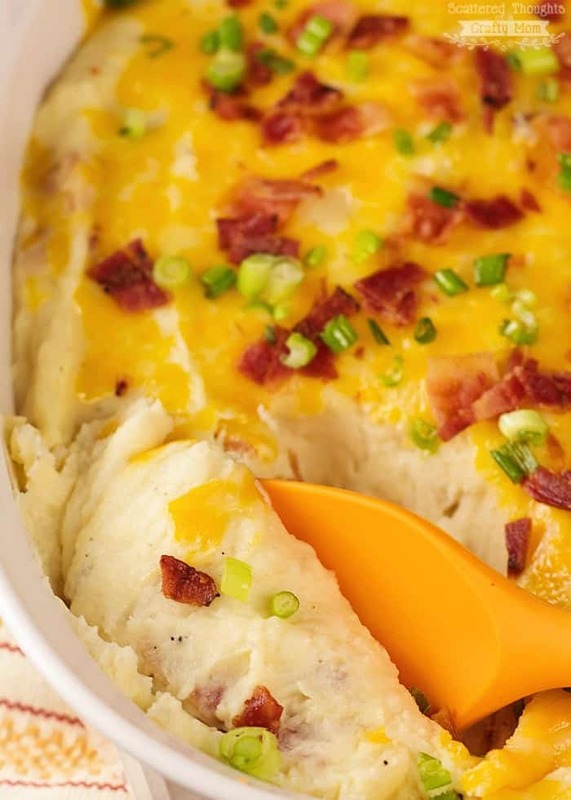 This Loaded Mashed Potato Bake Recipe is a delicious spin on the classic loaded baked potato! The addition of cheese, bacon and cream put the potatoes over the top tastewise and will leave your family begging for seconds and thirds. And of course, mashed potatoes pair superbly with a variety of main dishes. Thank you to Lipton for sponsoring this post! All opinions are mine. One of my favorite ways to get the family together is with a delicious meal. Spending time around the table with good food and conversation brings us together to create moments that matter. One of our favorite meals? When we have the urge for barbecue, I have a little trick to getting what everyone wants, without spending tons of money or having to slave over the smoker for 12 hours. I send the hubby out to pick up a “to go” order for a pound or two of our favorite brisket, (and sometimes sausage too) then prepare all the traditional side dishes for a big family meal. Some of our favorite sides to go with barbecue is green beans (with bacon), my favorite broccoli salad, charro beans, mac and cheese and of course baked potatoes! I’ve got a great twist on the baked potatoes to share with you today. 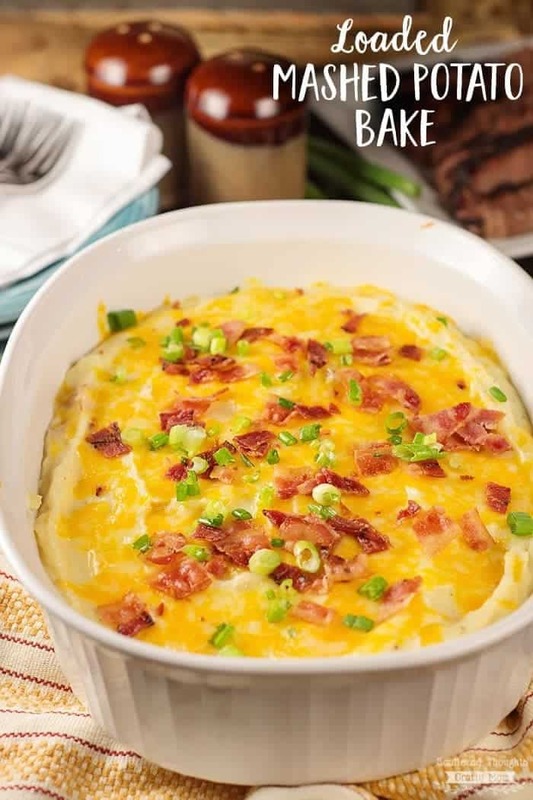 This Loaded Mashed Potato Bake is super easy to put together (especially if you use premade potatoes – I won’t tell, and no one will know!) and tastes unbelievably delicious! 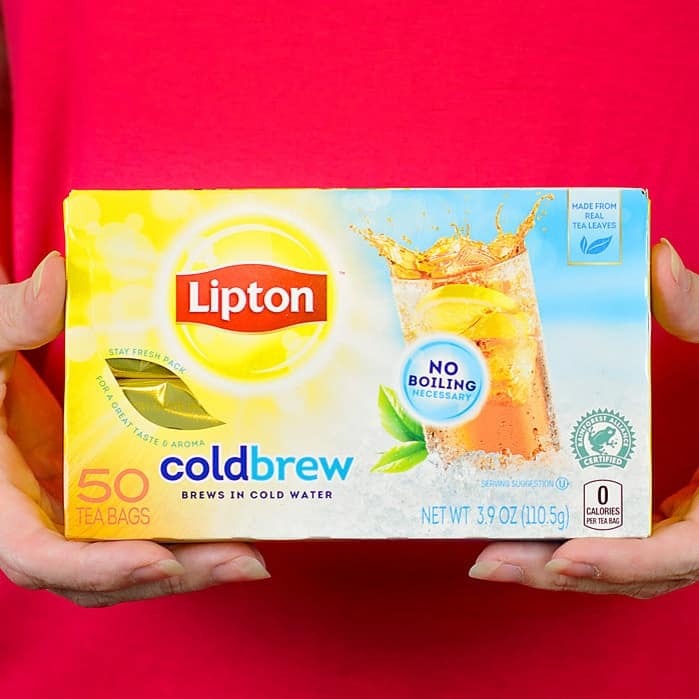 Have you seen the new Lipton Cold Brew? I love how easy the cold brew tea bags make it to get fresh brewed iced tea – you don’t even need to boil water! 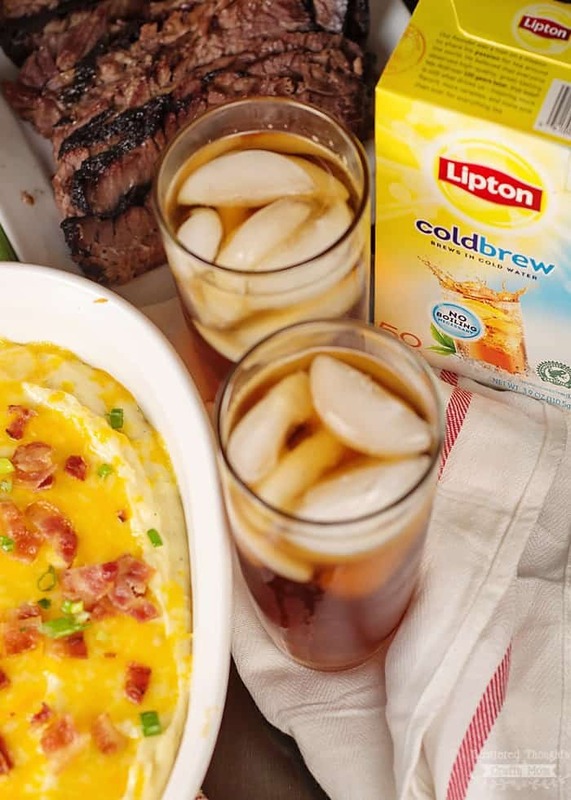 Want more seasonal recipes to go with your Lipton iced tea? Be sure to check out the Bright Bites destination on Foodnetwork.com for more inspiring recipes, articles and videos! In a large stockpot, cook potatoes in salted water for 10 to 15 minutes or until tender. Drain and return potatoes to pot. Add butter, cream, garlic, salt, pepper, half the bacon, gruyere cheese and 1 cup of the Monterey Jack Cheese. Transfer potatoes to 13 x 9 baking dish, topping with last 1/2 of cheese. Bake for about 20 minutes or until hot and bubbly. Garnish with remaining bacon and green onions. What is your favorite side dish to serve with barbecue? This is a sponsored conversation written by me on behalf of Lipton. The opinions and text are all mine. I can’t wait to make this tomorrow afternoon. I found a great recipe over the summer for a stuffed baked potato salad. Delicious!!! I try to add things to add things to mashed tators, otherwise theyre blah and boring. Looks amazing and definitely perfect with a glass of iced tea! This is totally something my family would enjoy. I love that you used Gruyere, it’s one of my faves. 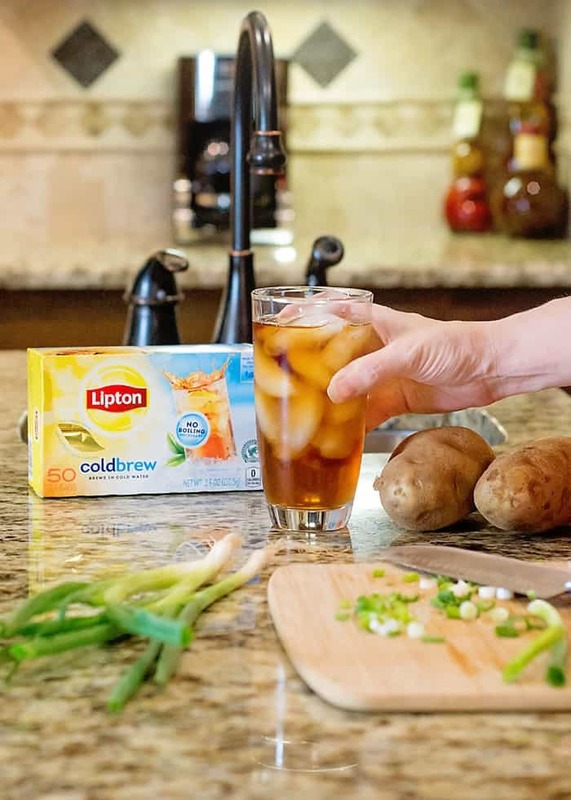 I’ve never tried the Lipton cold brew, I’ve always done it the other way (with hot water) so I might have to pick some up next time I’m at the store! This looks like a great side dish. I will have to make it this week. These potatoes would be so good served with a nice, juicy steak!